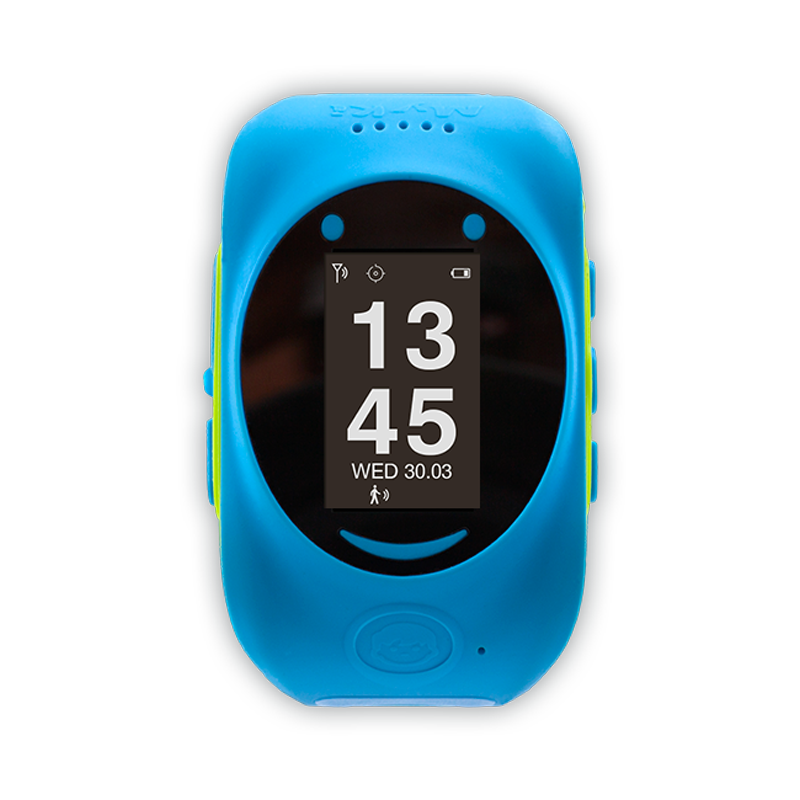 * To use the MyKi watch you need a SIM card with active data & voice services. MyKiTM is a new generation smart device that helps parents be safe about their kid’s location without being over-protective with constant calls. The smart GPS/GSM tracker communicates wit 12 satellites that report with absolute precision the location of your child. 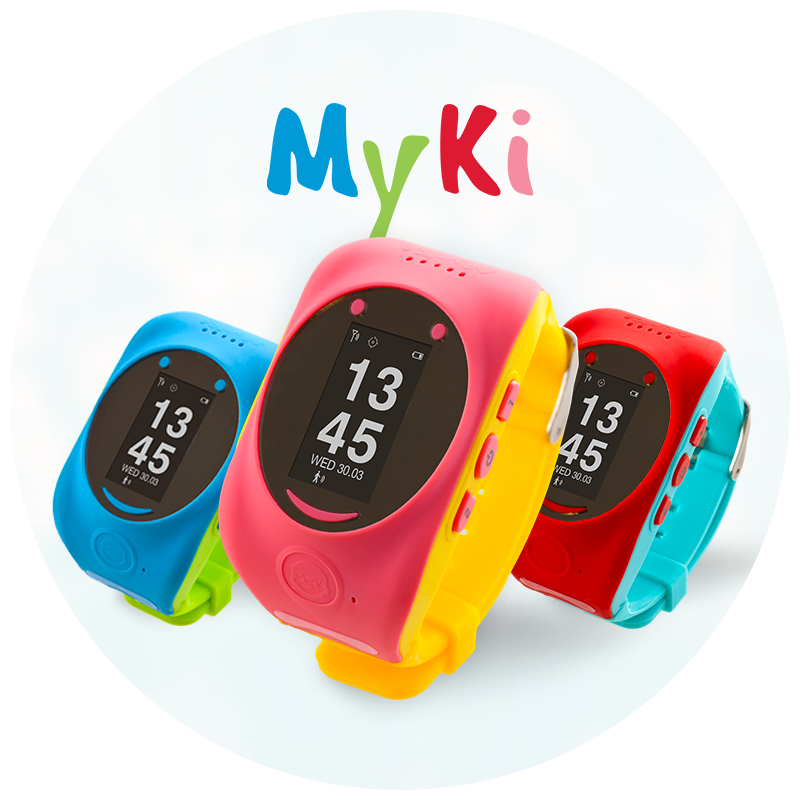 MyKiTM is light and comfortable and fits each child’s hand. 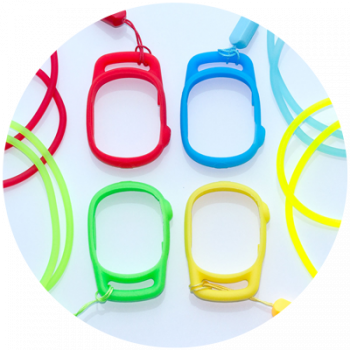 The strap is adjustable with diameter varying from 13 to 18.5 cm. The smart watch total weight is 40 g with SIM card installed. 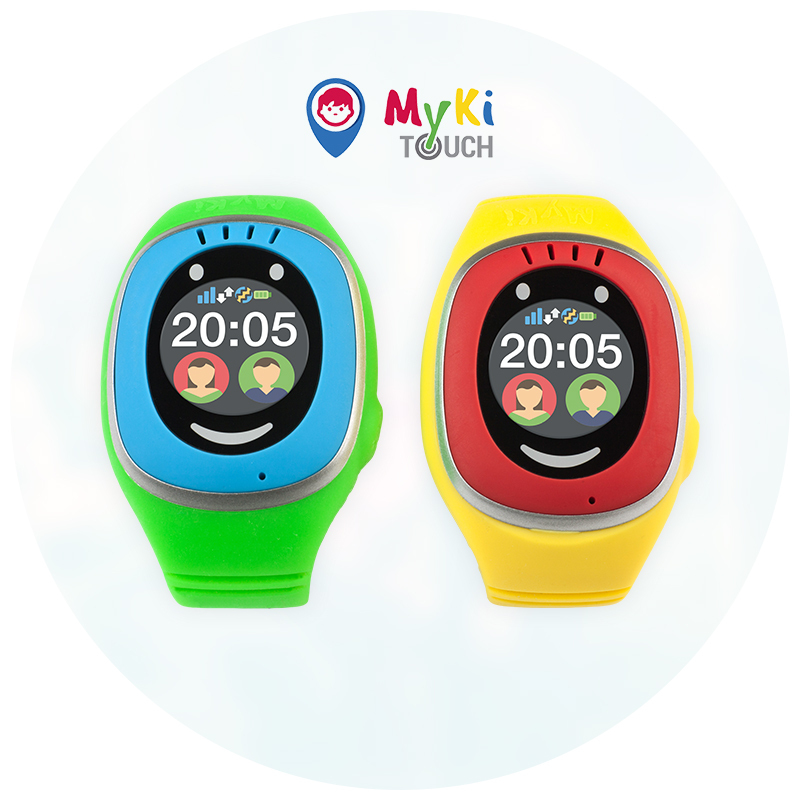 You can use MyKiTM, not only to check the location of your child, but also to talk to him at any time as the smart watch works also like a mobile phone. The kid can receive call only from authorised numbers. Armed with SOS speed dial button MyKi is ready to protect your kid. 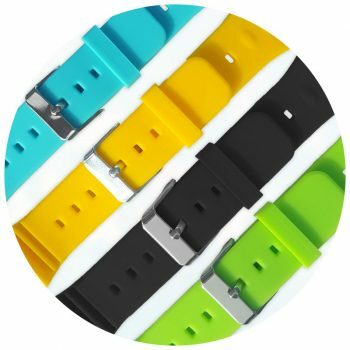 In case the child needs you by pressing the SOS button the smart watch sends exact location to the mobile application and starts calling three predefined phone numbers till connecting one of them. 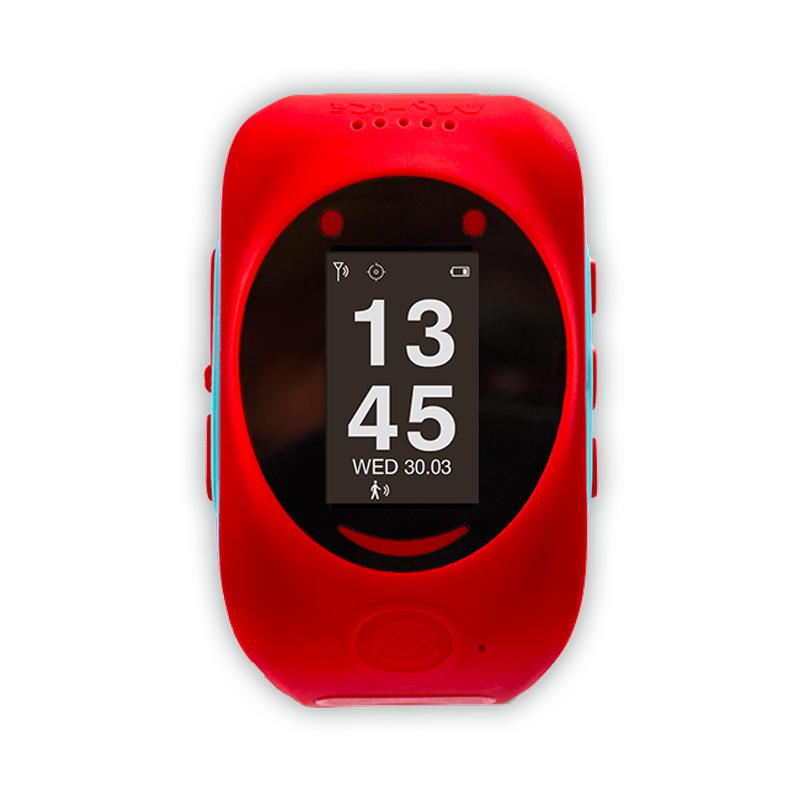 The battery can operate up to 30 hours in stand by mode and you will receive SMS warning when battery is going low. In a call the watch can operate up to one hour fair enough to handle and emergency situation.